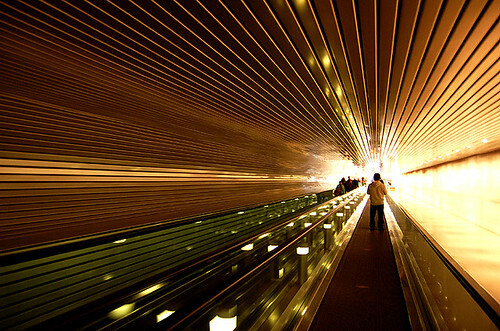 vanishing point a photo by Younjin on Flickr. I really enjoy that shoot-and-get-photo feeling: it’s different from either digital or developed film photography. The world through my new 50mm f/1.8 (budget spoke louder, people) is stunning. Yes, I am proud of my latest buying. As soon as I can, I will post some (test) shots I’ve taken these days. Having a 17-70mm as a weapon of choice since 2007, this lens is the perfect company for portraits. Will carry them both most of the times, I just know that.